It is a color feast and there are so many small pieces, such that you can look at each installation as a composition or as many individual amazing pieces put together.If I had wanted to take pictures of everything, I really can’t imagine how long I would have to be there or over the course of how many visits I might finally achieve such a goal. There is a lot to look at and it is a great exercise for the art lover and appreciator alike to consider the installations. For many of the pieces, they are not numbered, so each time one is put together, it looks different! ta-da!!! I would LOVE to have/make one of these for a porch. Imagine that! 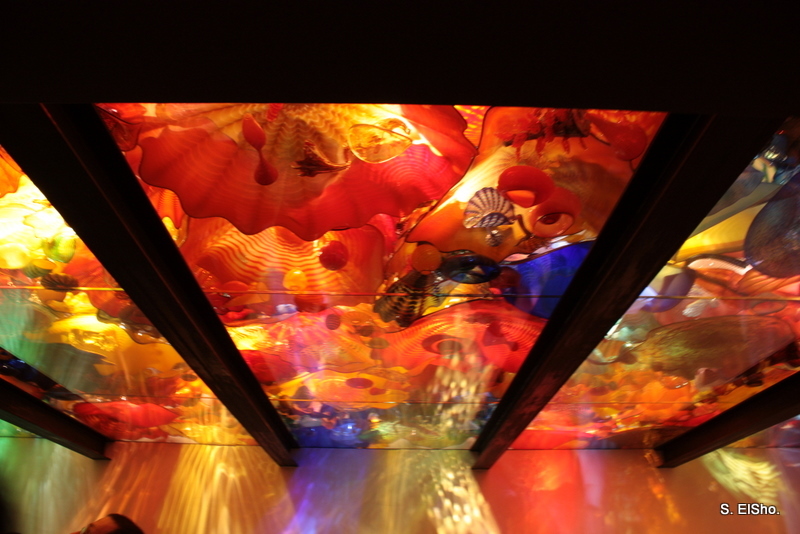 Here, you can sit underneath it and bask in a multicolored peaceful glow. magical. 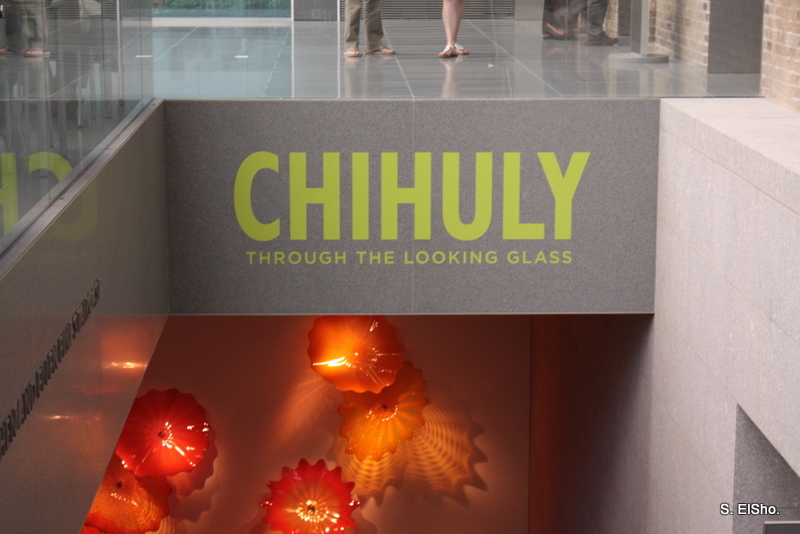 Tags: art, blown glass, Boston, Chihuly, indoor and outdoor, inspiring, MfA, MfA Boston, Mille Fiori, persian ceiling, photos, sculpture, starfish. Bookmark the permalink.